Sometimes buried treasures sit within plain sight. That’s what Alice Kelly, a postdoctorate writing fellow at Oxford University, found while conducting research for a book on modernism and World War I. 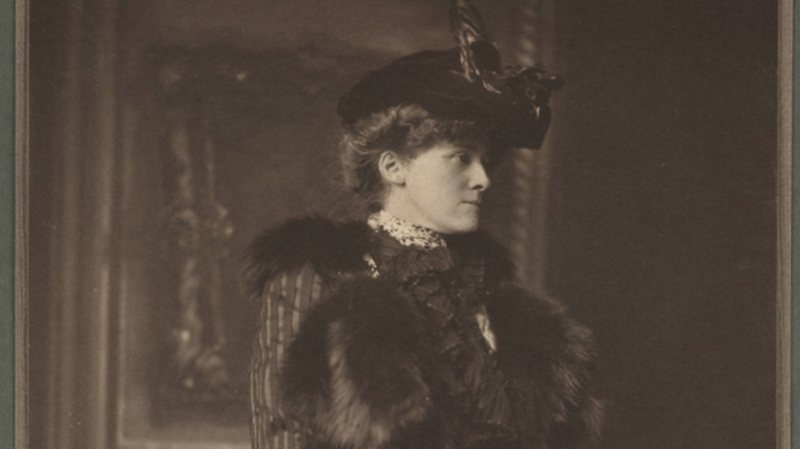 While digging around in Yale’s Beinecke Rare Book and Manuscript Library, she unearthed a literary treasure: a never-published, basically forgotten short story by famed late-19th/early-20th-century writer Edith Wharton. According to The Atlantic, the draft is called “The Field of Honor.” Nine pages long, it’s a haphazard mix of typed pages, scribbled annotations, and strips and fragments of paper, glued together to tell a cohesive narrative. It’s also most definitely by Wharton, as Kelly also found a draft of another one of the author's published stories, “The Refugees,” scribbled on one of the back pages. Together, the hodgepodge tells the tale of an American socialite, who’s freed from an unhappy marriage to a French nobleman when he decides to fight in the war. It was likely written right before The Age of Innocence, perhaps Wharton's most famous novel, was published in 1920, and it draws heavily from Wharton’s lived experience; she, too, resided in France during the Great War, where she was a relief worker and war reporter. Why was “The Field of Honor” never published? Kelly speculates that Wharton may have “considered her volunteer women war workers too vitriolic,” or perhaps she became preoccupied with The Age of Innocence. However, the story is now available for your reading pleasure online—serving as a reminder that writers can continue to surprise and inspire us long after they’re gone.